Are You Working Towards Improving Your Bowel Function? - YeastInfection.Org by Eric Bakker N.D.
You are here: Home / Yeast Infection Treatment / Are You Working Towards Improving Your Bowel Function? Just about every person I see daily in my naturopathic practice has digestive problems to some degree, and I’m sure that many people who practice natural medicine reading would tend to agree. It is incredible how many people needlessly suffer with regular bouts of constipation, diarrhea, irritable bowel syndrome, bloating, nausea, and various kinds of food intolerance. Most of these problems can be avoided or corrected by eating a healthy a well-balanced diet to begin with. If you are plagued with digestive problems, then I’d recommend you slowly start to change your habits and include more of the following into your diet: water, vegetables, probiotics and the specialized foods I talk about later in section 4 of this chapter, including garlic, ginger, coconut products and fresh herbs as well as the fermented and cultured foods and sea vegetables I have just outlined before. One of the most important points to emphasize with regard to diet change is to start right away yet to adopt these new habits slowly. All too often I have found that when I make a recommendation in the clinic to a patient then these recommendations are adopted too rapidly and almost overnight, meaning that their whole diet and lifestyle is changed literally within 24 hours. You can imagine the misery this can bring about, years of sloppy or bad eating habits changed in an instant, and the result for many can mean bad headaches, nausea, plenty of gas and bloating, more constipation or diarrhea and sometimes insomnia, headaches and fatigue. It doesn’t sound like fun, does it? But it happens regularly in the clinic, so I must warn you again – begin to adopt health dietary changes slowly, preferably over a two to three week period to be on the safe side. I know that you want to feel better fast, but slow dietary changes will mean less misery in the long term, and a greater chance that you will adopt these changes permanently. Perhaps you can remember once when you went on that health kick or exercise program some time back, you made sweeping changes to your diet overnight, or were a little too enthusiastic with exercise. Can you recall how you felt after two or three days? Need I say anymore on this topic? Believe me, it is not difficult to improve your digestion and bowel function, it is just a matter of adopting the correct lifestyle and dietary habits, and then keeping these habits going until they become engrained enough to have become habitual in your life. Start with my following my 12 recommendations for a full twenty-one (21) days straight without a break. If you can manage to continue these habits for a full three weeks, then it is likely they will last and stay with you long enough, for at least three to four months. An important concept to understand is that when you make long-term and positive changes to your eating habits that the microorganisms in your stomach and intestines will change as well, the bad ones will reduce in number and the good ones will increase. 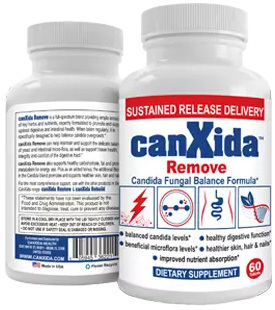 Your yeast infection will not like these good partners whatsoever, as it likes to rub shoulders with the bad guys, candida will also hate the fact that your body is starting to produce healthier amounts of digestive enzymes in all areas of your digestive system in your stomach, pancreas, liver and small intestine. This in itself will bring about a renewed vigor you may not have felt for years, and as your digestive health improves, which is your foundation for great health, then the superstructure you build on top of this foundation, your body’s trillions of cells, will become healthier and stronger as a result. The end result is a solid structure, able to withstand just about anything that nature throws at it, and this is called good health.